Hair loss is a common problem for many men. Hair loss experts indicate that over two-thirds of men will experience hair loss as early as 30 years of age. A full head of hair has always been associated with a sign of youth and vitality. In an effort to combat hair loss, the marketplace is flooded with false promises and too-good-to-be-true potions. Most men realize that many over-the-counter products don’t always work as advertised. 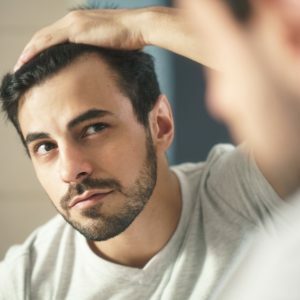 So, it is no surprise that the number of men receiving hair transplants has increased dramatically in the last few years. As men begin to seek solutions to hair thinning and advanced hair loss, they understand what factors come into play. It is normal to lose about 50 to 100 hair strands every day. 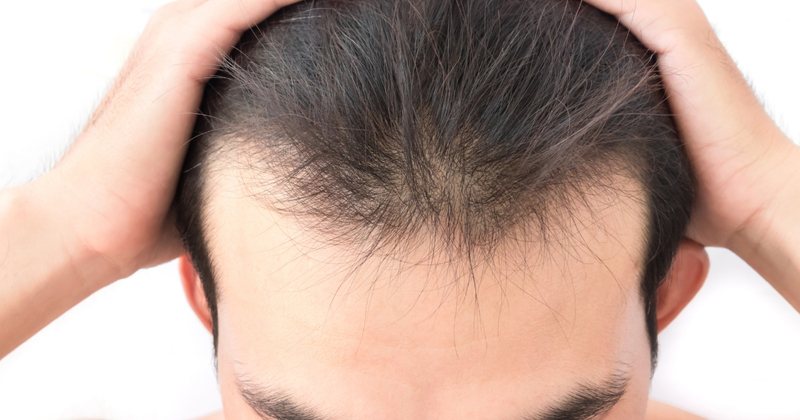 However, large bald patches or excessive thinning could be a sign of male pattern baldness or androgenic alopecia. There are many different reasons men experience thinning hair or early signs of balding. Causes for hair loss include stress, hormonal imbalances, poor health, medications, or thyroid issues. Genetics can also play a role in how early hair loss occurs. These causes are difficult to reverse. Hair transplant methods are far more innovative compared to the older, less popular methods of replanting larger “plugs” of hair. Our clinic was one of the first to adopt the ARTAS Robotic System. We use this method to perform FUE (Follicular Unit Extraction), one of two major methods of modern hair grafting. The use of the newer technology also allows for the creation of a more natural looking hairline. Additionally, patients report a comfortable experience with minimal downtime, making the choice of a hair transplant an attractive option. Men are choosing hair transplants because the process has been made simple and discreet. It begins with scheduling a consultation with a board-certified doctor with a solid track record of success. Your doctor will evaluate you to be sure you are a good and safe candidate for the procedure. 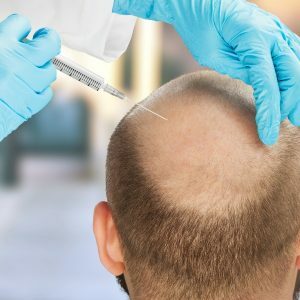 Choosing the appropriate hair grafting techniques and hair transplant process is done on a case by case basis. The primary advantage for hair transplants is that the process takes about a day and is performed under local anesthetic making it easy to plan for. It is not a lengthy surgical process requiring an extended hospital stay. Most patients heal nicely with minimal scarring and are able to return to work within a few days. Adverse side effects associated with hair transplants are minimal, making it a safe choice for most men. For the right candidate, a hair transplant can be deeply gratifying. To learn more about the hair transplant procedure or to schedule a consultation, call 301-656-6398 today.